We all get them, sooner or later. The shanks can be the golfer’s worst nightmare, seeing their approach shots or pitches flying off to the right again and again, costing you valuable strokes. Once the shanks set in, they can be hard to shake, especially when you try correcting the wrong aspects of your swing. Often, amateur golfers make changes to their grip, stance and swing that do not fix the problem, but rather reinforce bad habits. Luckily, learning how to stop shanking isn’t all that hard; you’ll need just a single tee. What leads to the shanks? 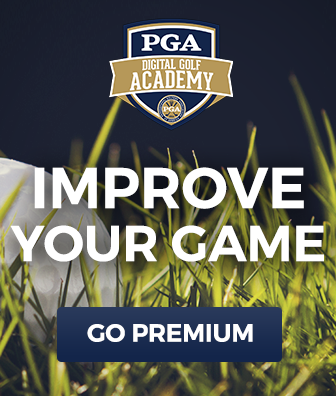 To help you figure out how to stop shanking, PGA Professional Rodney Green teaches you about the standard cause and effect of a shank. Almost everyone who experiences the shanks during their golfing career realizes quickly enough that the answer lies in the arc of their swing. Over time, golfers tend to lose height on their backswing, pulling the club around their torso instead of above their head, which causes the clubhead to come through the ball at a negative angle rather than the optimal zero degrees. Because of this, the hozzle of the club makes contact with the ball and not the face. 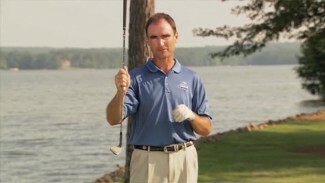 Now that we know what causes the shanks, Rodney introduces an expert tip so you know how to stop shanking when you feel it creeping into your game. 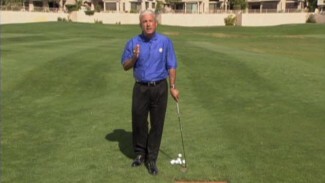 He teaches you the simplest way to fix this particular hitch in your swing with only one tee. Find out how Rodney uses the tee to make sure he’s getting plenty of arc on his swing so the club face is guaranteed solid contact with the ball. 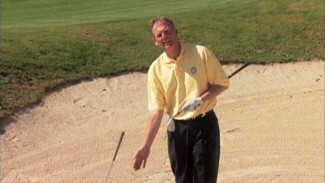 Once you’ve figured out how to stop shanking on the golf course, you’ll never have to worry about falling into the trap again, as long as you keep this simple tip in mind the next time you feel your shots coming off the hozzle.